Otaheiti House, beautiful, 2 bedrooms , oceanview built for your peace of mind. Property 11: Otaheiti House, beautiful, 2 bedrooms , oceanview built for your peace of mind. Amazing Montego Bay Country Club Rental, fresh decor and perfectly priced! Property 12: Amazing Montego Bay Country Club Rental, fresh decor and perfectly priced! Luxury Oceanfront Townhouse - Montego Bay Jamaica! 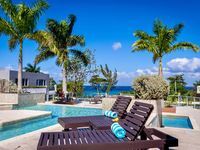 Property 17: Luxury Oceanfront Townhouse - Montego Bay Jamaica! 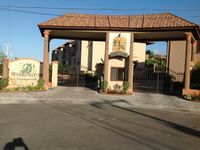 Modern, Spacious, Centrally Located, Stunning Townhouse In Montego Bay!! Property 18: Modern, Spacious, Centrally Located, Stunning Townhouse In Montego Bay!! Amazing experience from start to finish. Arrival instructions were clear and concise. Raquel was extremely welcoming and helpful. She was there to greet us upon our arrival and give us a tour of the house. We were also provided a cell phone to use for local calls and to contact her as well. Every time we reached out to Raquel she was immediately responsive. Our driver's Hartley and Tee Jay were both great. Hartley was extremely patient from the time we meet him. It took us longer than anticipated to get through customs. He probably waited an additional hour from our scheduled pick up and we had no way of letting him know but upon exiting the airport he was standing there with a sign. When we went out to eat, to the beach, and to bars/clubs our drivers waited for us or we agreed to a pickup time to meet them out front. From our airport pickup to the drop off at the end of our trip we had no complaints. The property itself is beautiful and immaculate. The neighborhood is quiet but welcoming. I consider myself a clean freak and it was to my standard in regards to cleanliness. The only thing I regret was my vacation wasn't longer. If I'm ever back in Montego Bay I'll be staying here again in a heartbeat. The pictures simply do not do this place justice. It is absolutely gorgeous! As soon as you walk inside, the accommodations are immaculate. It's clean, spacious, and very safe. I loved how close it was to whitter village, which is a cute shopping center with a few restaurants and a great grocery store.